GK Dutta > PHOTOGRAPHY > CLUB HOUSE-MANALI: HIMACHAL PRADESH! Club House at Manali is one of the well known tourist destination of Himachal Pradesh. That river side club has some unique attraction. You can do river rafting and spend some time by the side of the river enjoying different sports and games. This is managed by Himachal Tourism. 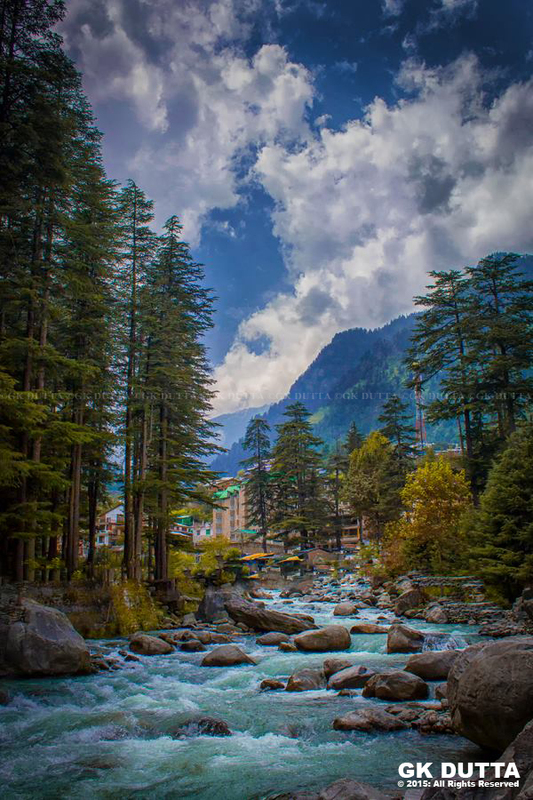 This place is nearly 1.5Kms from Manali. A branch of Beas river called manalsu flows nearer to the complex. There is a shopping complex (for woolen and other clothing material) just beside the club house and also managed by Himachal Tourism. I found the quality of the items excellent and at times discount prices are available for many items which are genuine.